Maybe you’ve got so much on today’s to-do list that looking into health care just slipped to tomorrow’s goals. Or perhaps you don’t think the changes put into motion by the Affordable Care Act (ACA) apply to you. Either way, we’re here to tell you that the process is easier than you think and definitely worth your time. Last week, Secretary of Health and Human Services Kathleen Sebelius stopped by Family Circle’s office to chat with us about the October 1 debut of the ACA’s health insurance marketplace at healthcare.gov. “Don’t believe this isn’t for you,” she says. “Go check it out.” Here, four surprising reasons moms should give the site a click. 1. You’re covered by your spouse’s insurance. 2. You have a child with a pre-existing condition. 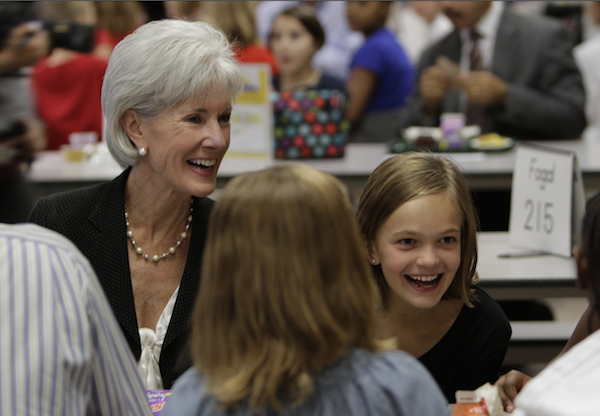 “What I find all the time is these parents are terrified that something will happen to their own insurance coverage so that somehow they’ll run out of care when their kid needs it,” says Sebelius. “But also they’re terrified that once their child ages out of the protection of a family policy, their choices will be limited.” Now those kids can’t be turned down because of their condition. 3. You’re part of the sandwich generation. If you’re looking out for a parent who gets Medicare, this a good time to review their health care plan. “Nobody has to do anything if they’re on Medicare,” says Sebelius regarding the new exchange. “But they may have some better choices in the market than they ever thought they’d have.” Make sure your parent is getting the best deal by seeing what’s out there—or simply make sure they’re maximizing their Medicare benefits, many of which have gotten stronger with the ACA. If you’re one of the 18.6 million uninsured women in America, you have until March 31, 2014, to enroll in a plan. Go to healthcare.gov right now to see options and pricing. Have questions about the Affordable Care Act? Email us at health@familycircle.com and we may choose yours to answer in an upcoming blog post.